Managed Care Systems (MCS) was struggling to control their Purchasing, inventory and budgets with a patchwork of outdated systems. Having grown to over 300 employees, MCS was overdue for an upgrade. Unfortunately, there was no budget for a new e-procurement system, but that didn’t stop Eric Jeffers, who is responsible for the Purchasing Department at MCS. “Our old system was written in-house a bunch of years back and it was starting to fall apart,” says Eric. “The IT Department didn’t want to invest resources to fix it, so we kept limping along. Plus, as an add-on to the Help Desk system, it was really just an over glorified word processor to start with; it could print a PO and keep some history, but there was still a ton of manual effort and duplicate data entry for each order, and it didn’t track inventory or provide any budget controls, which were big problems. We were constantly going over budget because the managers who were approving orders couldn’t see the status of budgets real-time. And we were running out of stock all the time, which meant a big panic, rush orders and extra charges for expedited deliveries”. So Eric rolled up his sleeves and started implementing the Free Version of SpendMap. Once he started using SpendMap, Eric saw an immediate reduction in paperwork and manual effort for each order, but that wasn’t enough. He knew that to get approval for the web-based version that he wanted, he would need support from others at MCS, so he recruited a colleague who processes a high volume of orders for her department. “Renee immediately took to the system and provided me with some very positive feedback about SpendMap, so now I had some backup,” says Eric. But the real turning point was when managers starting approving requisitions in SpendMap. “The managers that were frustrated by our old systems were the same people who I needed support from to upgrade SpendMap,” says Eric. “Once they saw how easy it was to review requisitions and check budgets in SpendMap, the system sold itself”. 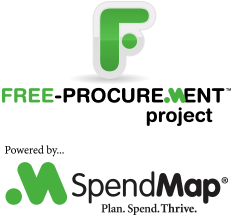 A few months after implementing the Free Version of SpendMap, Eric finally got funding for his new e-procurement system, and upgraded to the web-based version of SpendMap. Thanks to Eric and his don’t-take-no-for-an-answer approach, Managed Care Systems now has a fully-integrated, reliable, and easy-to-use system for requisitions and approvals, Purchase Order management, supplier invoice approval, consumable inventory control, and asset management, with real-time budget controls and visibility for his managers. Since the system was implemented a year ago, there has not been a single stock-out at MCS.